Beasto Blanco, the band fronted by long time Alice Cooper bassist Chuck Garric, will release their self-titled, full length second album, on November 25, 2016 via Rat Pak Records . 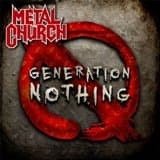 The new effort, which was produced by Ryan Greene (Alice Cooper/Lita Ford/Mr. Big), features 11 new tracks and an amped-up cover version of Alice Coopers hit song "Feed My Frankenstein" that also features Alice's daughter and fellow Beasto band mate Calico Cooper. 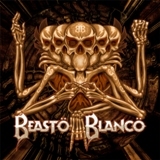 "Beasto Blanco" is the follow up to the bands critically acclaimed 2013 release "Live Fast, Die Loud" (Rat Pak Records) which was endorsed by the likes of movie actor Johnny Depp, Iron Maiden drummer Nicko McBrain, producer Bob Ezrin, and many more. 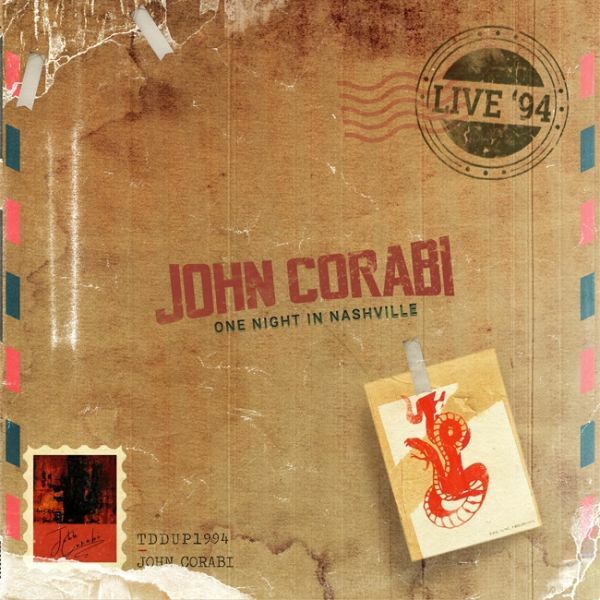 Famed vocalist of The Dead Daisies, John Corabi, is set to release his first-ever solo live album Live 94 (One Night In Nashville). Corabi performs the classic self-titled 1994 Motley Crue album that he sang on after longtime Crue vocalist Vince Neil stepped away from the role in 1992.Recorded live on October 27, 2015 during a stop on his Motley 94 tour, Live 94 (One Night In Nashville) documents the album in its entirety along with the bonus track "10,000 Miles" which was originally released as a bonus track on the Japanese version of the Quaternary EP. The Live 94 (One Night In Nashville) band is comprised of John Corabi (Guitar/vocals), Jeremy Asbrock (Guitar/vocals), Phil Shouse (Guitar/vocals), Tommy Daley (Guitar) and Ian Corabi (Drums/percussions). The album was recorded live from The Basement in Nashville and contains no overdubs or backing tracks. The recording even includes 2 tracks of Corabi addressing the crowd about his time in Motley Crue. known for his vocal work with The Scream, Motley Crue, and Union, legendary hard rock vocalist John Corabi serves up a passionate, soulful dose of both new and classic songs on this all new acoustic release! "Unplugged" offers five new original tracks, seven re-recorded classic songs and in addition, features an exclusive 2012 behind-the-scenes interview with John. The album features John Corabi - vocals/guitar, Cheney Brannon (formerly of Collective Soul) - percussion/vocals, Topher Nolen - bass/vocals, D.A. Karkos - guitar/vocals, Matt Farley - percussion/vocals and Bruce Kulick - (second guitar on "Hoolgans Holiday" and "Man In The Moon"). A new musical force to be reckoned with is about to turn the rock world upside down with the release of their self-titled debut, KXM. 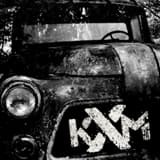 KXM is comprised of dUg Pinnick of Kings X on vocals/bass, George Lynch of Lynch Mob/Dokken on guitars and Korns drum maestro, Ray Luzier, rounds out the powerhouse trio. The band takes its name from the combination of the members other projects: K from Korn, X from Kings X and M from Lynch Mob.The self-titled debut of KXM is something truly unique and special. The songs are powerful, precise, and transcend beyond the boundaries of the imagination. In todays overpopulated music arena, true gems become harder and harder to find, but KXMs unified vision rises above the normal and creates its own space. From the opening drum riff of "Stars" to the final chord on "Human Friction," KXM is an album that is sure to resonate with fans from the bands original projects, while garnering new ones as well. Songs like "Gun Fight," "Faith Is A Room" and the first single "Rescue Me" are sure to be instant favorites among fans. The band shows their softer side on the ballad "Never Stop" along with their dark side on the tale of domestic violence, "Sleep. "KXM formed in early 2013 when dUg, George and Ray spoke about trying to jam together. At the time it wasnt clear what would come from those jams. The only thing that was clear was that these 3 musicians, at the top of their game, wanted to play together. The self-titled debut, KXM, was born from those jam sessions and is now an important piece in each band members musical legacy. In a world that constantly searches for new and unique music, KXM delivers all the power and punch that one would expect from these high level players! 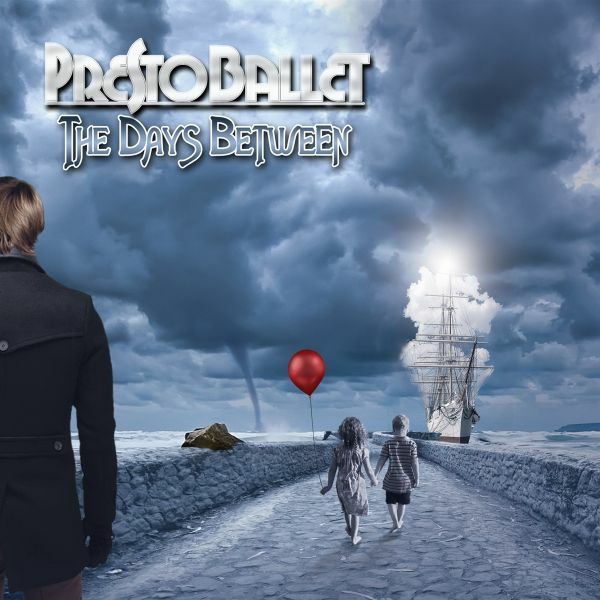 The new debut release from the legendary guitarist of Cinderella.Tracks on the CD range from classic, early CINDERELLA-style hard rock, to groove-laden blues rock and really captures the magic and spirit of the genre that Jeff helped create. This special edition EP release celebrates thirty years of George Lynchs guitar playing with an amazing 4 track offering for the fans. Legacy injects us with a super charged dose of Georges signature style and proves once again why hes one of the most respected guitar players of the last 3 decades! Track #1 "Blood Drive" ignites this disc with an upbeat catchy rock track that has a real early VH meets Satriani groove to it. Track #2 "Circulo Del Fuego" offers us a well constructed rocker that incorporates all of George's legendary playing style. Track 3 "Invoid" can best be best described as "Mr Scary" meets "Tooth and Nail", it's laced from start to finish with amazing guitar technique and killer tone. 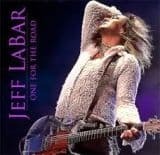 Track #4 "The Road Ahead" is a haunting ballad style number that combines all the flavor & melodic angst of the late 80's but with a modern tone. Band members are: Guitars: George Lynch, Bass: Rev Jones, Drums: Michael FrowenLegacy is a straight forward offering with a classic metal vibe and is a must have for any true fan of this elite guitar legend! You can hear the track "Invoid" in its entirety on EBR Nation (Part 5) "Reckoning Day" a short film in the continuing documentary series on American motorcycle icon Erik Buell and his motorcycle company. Ronny Munroe's Electric Wake is by far his best work to date! 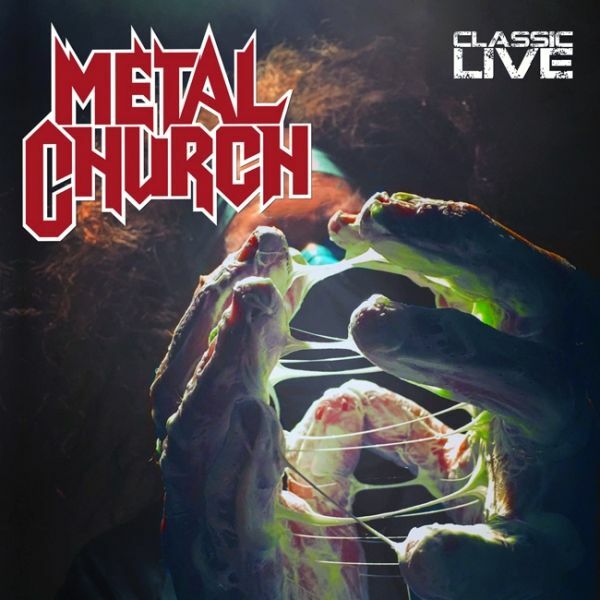 Produced by Bruce Bouillet and mixed by Jon Wyman, this 3rd offering from the Metal Church front man truly captures all the magic of the classic metal genre! "I wanted to create something that was totally new, but at the same time allow all my influences to shine through" states Ronny on the recording of the CD. 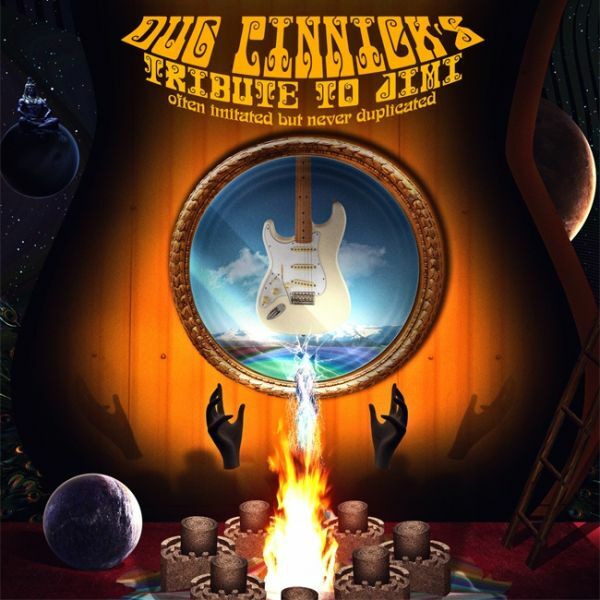 Electric Wake also features collaborations with guitar legend George Lynch, Tesla guitarist Dave Rude, Pamela Moore (Queensryche's "Sister Mary"), Paul Kleff (ex Firewolfe), David Donigian, Sean Baker and Tony Rossi. 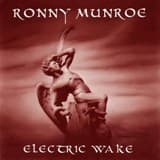 Ronny Munroe's Electric Wake delivers a healthy dose of fist-pumping, guitar-driven, well-conceived classic style heavy metal music and is a must-have for all fans of the genre! Three videos have been shot for this release, "United", "Pray" and "The Others (Long Live Heavy Metal)" which features a duet with Pamela Moore, and Tesla's Dave Rude on guitar which will debut in the coming weeks. Legendary Kings X front-man Dug Pinnick will release "Tribute to Jimi" (Often Imitated but Never Duplicated) a special limited print tribute album to the legendary guitarist Jimi Hendrix. "Tribute to Jimi" was recorded at Blacksound Studios, Pasadena, CA and was co-produced by Dug Pinnick and Michael Parnin and mastered by Kurdt Vanderhoof of Metal Church.About the release dUg states, "Ive been wanting to do this for a long time, so when the idea was brought up to me, I couldnt wait to get started! We wanted to recreate the analog recording process as closely to the original recordings as possible, so we did our research and tried to use as many of the original effects and equipment that we could find. I'm very happy with how this turned out and I hope everyone enjoys listening to this music as much as I enjoyed recording it in memory of Jimi Hendrix!" dUg Pinnick: vocals, rhythm guitars, bass, piano, percussion, kazoo, combs and foot-stomps. Mike Hansen: drums and percussion. Tracey "Spacey T" Singleton: lead and acoustic guitar. Tommy Baldwin: additional lead guitar, background vocals. Mike Farrell: keyboards. Reinhold Schwarzwald: saxophone. Project NFidelikah combines the talents of Fishbone front-man Angelo "Dr. Mad Vibe" Moore, Lynch Mob guitarist George Lynch, ex War/Philm bassist Pancho Tomaselli and Endangered Species drummer Chris Moore. Their music has been described as a "rock infused hybrid ghetto funk gone haywire", as each track showcases their different musical backgrounds. "Musically, its a wide open landscape in this band", says drummer Chris Moore. Project NFidelikah creates their hybrid sound by combining an arsenal of instruments including guitars, organs, saxophones, percussions and even a Theremin which highlights the many musical landscapes offered in this debut release. 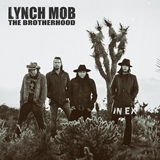 "The musicianship is to a whole other level, I can go into other areas that I maybe couldnt delve into while in a straight hard rock situation, its teaching me something I didnt know how to do" says guitarist George Lynch. 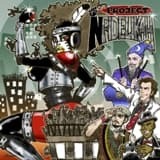 Project NFidelikah is rock, funk, blues and pop all mixed into something very unique and special! 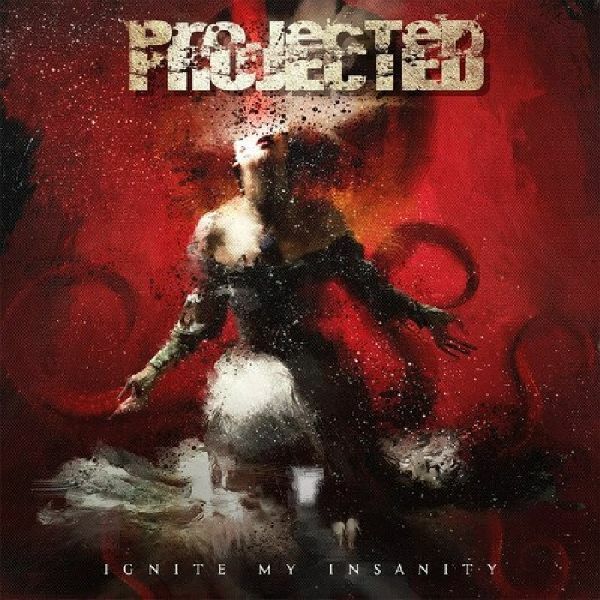 Projected "Ignite My Insanity" is the new sophomore release from the super-group comprised of Sevendust guitarist John Connolly, Alter Bridge/Creed drummer Scott Phillips, Sevendust bassist Vinnie Hornsby and Tremonti guitarist Eric "E-ROCK" Friedman and is the long awaited follow-up to their 2012 self-released debut album "Human".Ignite My Insanity features 21 all new tracks and is an album that's sure to resonate with fans from the bands original projects and guaranteed to garner new fans along the way. From the infectious guitar riffs off disc ones "Reload", to the crushing finale of "Battlestations" on disc two, Projected have created something truly special. Songs like "Rectify", "Call Me The Devil" and "Vain" are stand-out testaments to Johns heavy riff writing capabilities, while more melodic songs like "10 Years Gone", "Faith" and "Inside the Sun" bring you to a place of quiet reflection. Songs "Reload" and "Ignite" are sure to be instant fan favorites!On the subject of Projecteds new record, John Connolly comments, "There are four very strong personalities in this band. 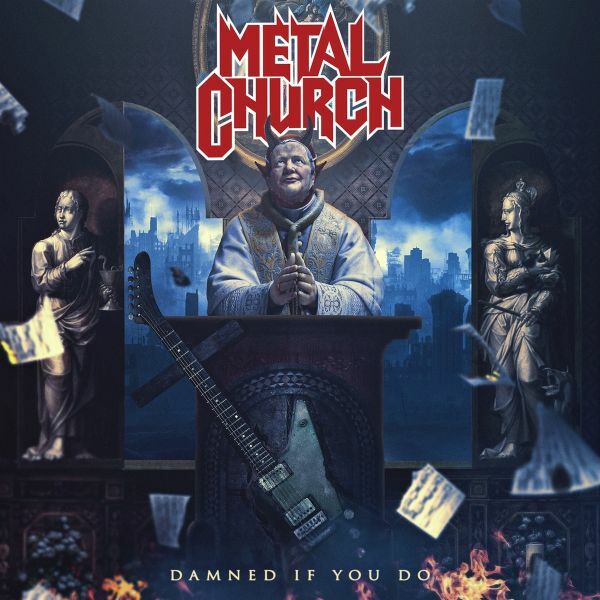 Everyone has been in the business doing various things, from Tremonti to Alter Bridge to Creed to Sevendust and it took all those elements and sounds to make this album what it is! "Guitarist Eric "E-Rock" Friedman comments, "When I think Projected, the first words that come to my mind is a very raw and honest band. Things arent overthought. Its very organic." Scott Phillips adds, "Were all part of other bands that weve put our heart and soul and life into and this was just a chance to extend that into somewhat of a different direction. "Says bassist Vinnie Hornsby, "Weve been playing so long together, you know its kinda' like a marriage to a certain degree, it really warms my heart to be able to play with my friends and these great musicians. "With thought provoking lyrics, heavy guitar riffs, rock-solid bass grooves and stand-out drumming, "Ignite My Insanity" delivers all the power and punch that one would expect from these high-level players! Official release date is July 21, 2017. TESLA guitarist Dave Rude delivers the goods with his latest hard rock offering "The Key"! This 10 song, riff laden extravaganza, captures the true spirit and essence of American Rock & Roll music! Produced by Marc Kapetan, "The Key" showcases both Daves solid guitar playing skills, and unique songwriting ability. Along with bassist Marco Guzman, drummer Josh Schmidt and Dave's signature guitar style, this release offers up a straight-forward mix of hard rockin cuts that will satisfy any and all fans of the genre! Formed over a decade ago in Seattle, Washington, "Soulbender" is comprised of Queensr�che guitarist Michael Wilton, vocalist Nick Pollock (My Sisters Machine), guitarist Dave Groves (ex-Tin Pan/Fallen Angel) and drummer Wes Hallam (ex-Assault/Fallen Angel). SOULBENDER II contains four all new songs (Turn Anger up, Shoal, Slave To Reality, Seraphim) as well as the ten original tracks (remastered) from the first album (Fix Me, Clockwork and Compass, Rabbit Hole, The American Dream, Samsara, Prime Time, Shoot Poem, This Ocean, Hunger, Three Towers). 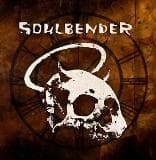 Michael Wilton describes Soulbender as "a very progressive, hard rock band with very intense musicians and a couple of the members are prodigies". 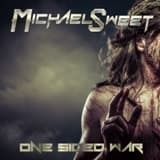 In what promises to be Stryper front-man Michael Sweets most intense solo release to date, "One Sided War" showcases a full plate of hard rock & classic metal riffs from start to finish. One Sided War marks Michaels 7th studio solo album and it clearly proves that he is still at the very top of his game.Surrounding himself in the studio with Whitesnake guitarist Joel Hoekstra, Evanescence drummer Will Hunt, bassist John OBoyle and East Coast shred-master Ethan Brosh, Michael began creating what would soon be known as "One Sided War. "Deep Cuts & Rarities" is a Limited Edition 15 track compilation CD that includes 9 rare unreleased and 6 previously released cover songs which are performed by various artists from the Rock and Hard Rock genres. 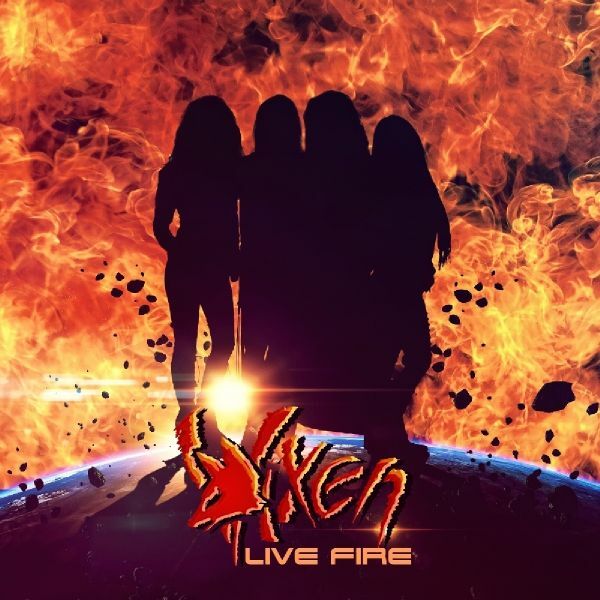 The release features mostly classic songs from the 70s & 80s but also includes a solo acoustic version of CAMs "Burning House" performed by Sevendust guitarist John Connolly and a recently recorded live version of John Corabi performing The Screams "Man in the Moon" which was recorded during his "Live 94" tour.